Wisdom is an integratal part of all philosophical and religious traditions in the world. 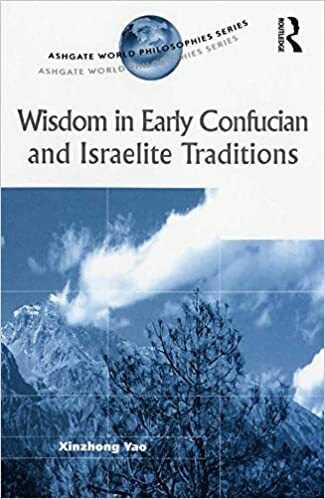 Focusing on the concept of wisdom, this book examines the difficulties and problems facing comparative studies of the early Confucian and Israelite traditions by exploring the cosmological and ethical implications of wisdom in the older layers of Christian and Confucian texts. Presenting a detailed discussion of how wisdom was understood in philosophical, religious and social contexts by the writers of the socalled early Confucian and Israelite wisdom texts, this book offers an invaluable contribution to our understanding of the significance of wisdom in the East and West, and to our knowledge of different and yet related ways of life as understood in their literature. Daniel 1:4 : biblehub: youths in whom was no defect, who were good-looking, showing intelligence in every branch of wisdom, endowed with understanding and discerning knowledge, and who had ability for serving in the king's court; and he ordered him to teach them the literature and language of the Chaldeans. Meet Xian’er, the robot monk spreading the teachings of Buddhism around China, The Toronto Star -- The creator of the two-foot-tall monk hopes the robot’s wise words can satisfy the questions of millions of Chinese Buddhists. Robot Monk Seeks to Merge Buddhism and Cutting Edge Tech popularmechanics-- ​The cutest bridge between technology and spirituality you'll ever see. I'd Like To Call For Help But I Don't Know the Number: The Search For The Spirituality In Everyday Life Abraham J. Twerski M.D. "Religion in recent times is being seen as almost irrelevant in many European countries, but the religion of Islam has become a hot topic for various reasons. Religious literacy, particularly of Islam, even in our highly educated country is indeed poor. Lazy journalism, or in some cases cheap populism, may be partially responsible for this. Knowledge about one’s own background is essential, but knowing others is no less important in our modern globalised world. The truth is the more our children know traditions other than their own, the more they become confident and mature; they grow up with tolerance and respect for others which is vital in a pluralist society..."
– Seeks to identify the potential value of an e-tool, viz., Index Islamicus as an interfaith literacy resource. Specifically, it is about the value of such a tool by users, such as, scholars as well as library and information professionals in promoting tolerance in every day life. A conceptual clarity is required as to how far such a tool helps or when there is a need to develop tools that supplement the content of Index Islamicus. Here, interfaith is confined to mean it is all about Islam and its relation with other faiths. – The study uses bibliometric indicators and bibliographic parameters in order to assess the contents, as well in identifying the frequently occurring themes and to know how user-friendly its resource description is. Index Islamicus covers almost 100 years of publications on the world of Islam, in over 300 journals (among many other formats), and has 330,878 records. The author has bibliometrically analysed the 1308 subject headings appearing in 675 articles from 106 journals in Index Islamicus. A detailed description highlights the state of the art of the contents, i.e. Index‘s coverage by geography and subjects. The present study will focus on English language interfaith resources, published between 1976 and 2006. A quick look at the data reveals that there is a bias towards the Western world in the content. Interestingly, despite this factor, there are 153 articles from Organization of Islamic Countries. Overall, the analysis of the literature aimed to first, test the hypothesis about the interfaith coverage of the Index, and second to visualize how well the Index categorizes its subject content. Quantitative and qualitative approaches are used to test these performances. – The study finds that there are as many as 675 articles with a high frequency of terms relating to interfaith literacy in the Index Islamicus. Despite this high frequency of occurrence of the terms relating to interfaith perspectives in the Index, there is no such subject heading or descriptor, per se on the subject of interfaith. Hence, the hypothesis about presence of such a literature stands validated. But, the hypothesis about manifestation of such a vast literature in terms of resource description, as descriptors (or subject headings), fails. Nevertheless, the subject coverage as available in Index Islamicus offers a real opportunity for Librarians and researchers, globally, to not just search but also browse. However, there is a need first, to improve this tool, second, bring uniformity in subject descriptors (headings), and third consistency in use of subject terms. In a way, this tool presents an opportunity for librarians in their day to day mediated searching, first to customize the content and second to develop similar indices using emerging web and technological interfaces. The information professionals are urged to use this or other similar tools and produce an improved product on interfaith literacy. Such a product will increase trust and reliance by the end-user, and thereby get a direct support for library programs and services. 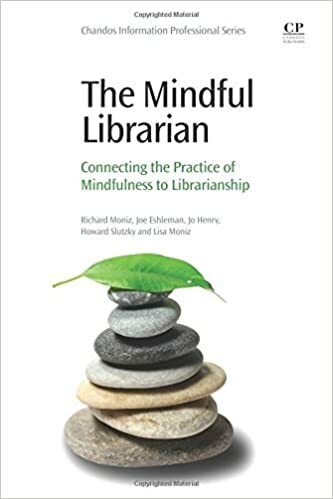 The author feels that librarians do have the skills, capabilities and technology to accomplish this, especially if they are supported by their organizations--with respect to interfaith education and resources that promote mutual co-existence among the global citizens. An appendix of this article provides a sample template to design and develop such tools. 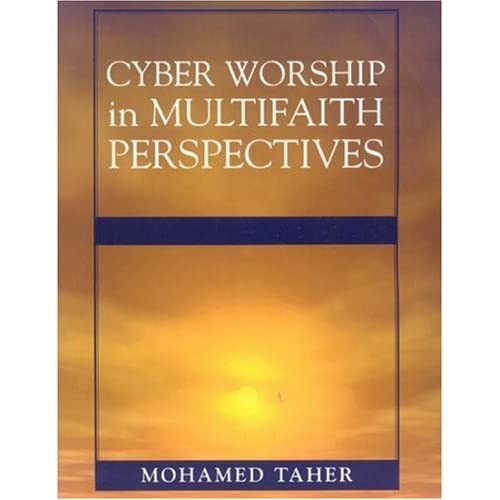 – This article should be of use in the development of interfaith librarianship. The results of the study will help, at least, three distinct communities of practice, viz., end-users will know what is available in the Index, disseminators will know the strength and opportunities of this information-base, and producers of such resources or information industry will know the challenges and weaknesses.